Hello, my stamping friend! I hope you enjoyed your weekend; it was our Thanksgiving weekend here in Canada. As always, we had a wonderful dinner with our family who live here; and we were able to talk to and Skype with family who live in other parts of the world. 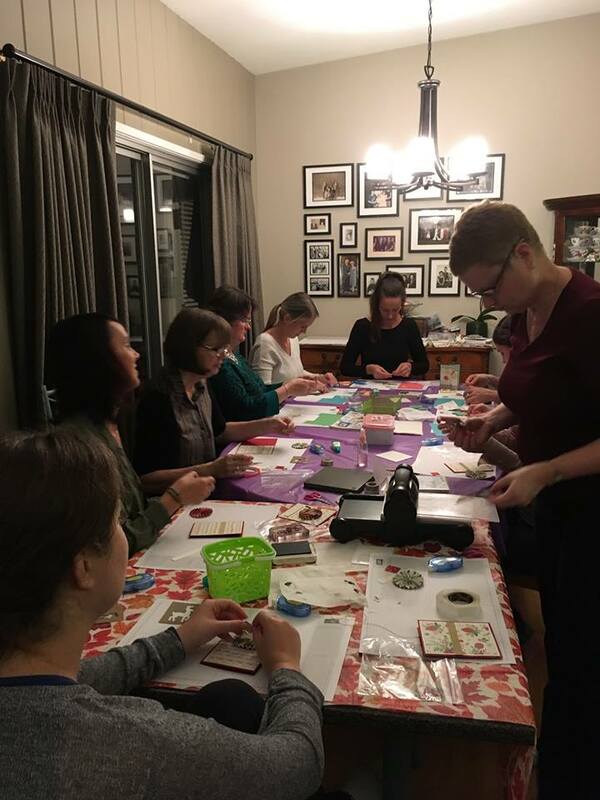 On Friday, before the turkey festivities, I had the pleasure of attending on of my newest Team members first home party – her first as a Stampin’ Up! demonstrator! Congratulations to Lynn on her very successful, and fun, party! 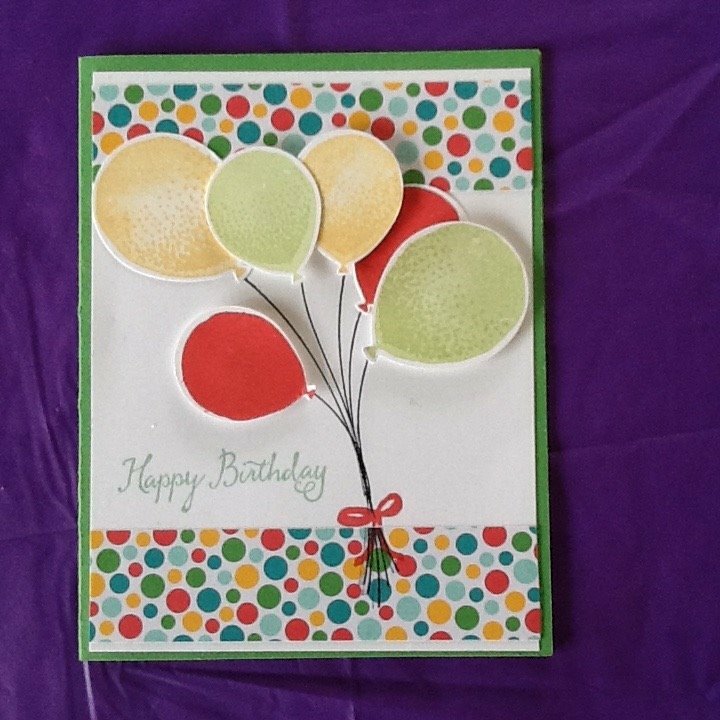 (I’ve already shared some pictures on my business Facebook page – www.facebook.com/stampandcreate if you’d like to follow). Lynn had the evening very well planned, and everyone had a great time. 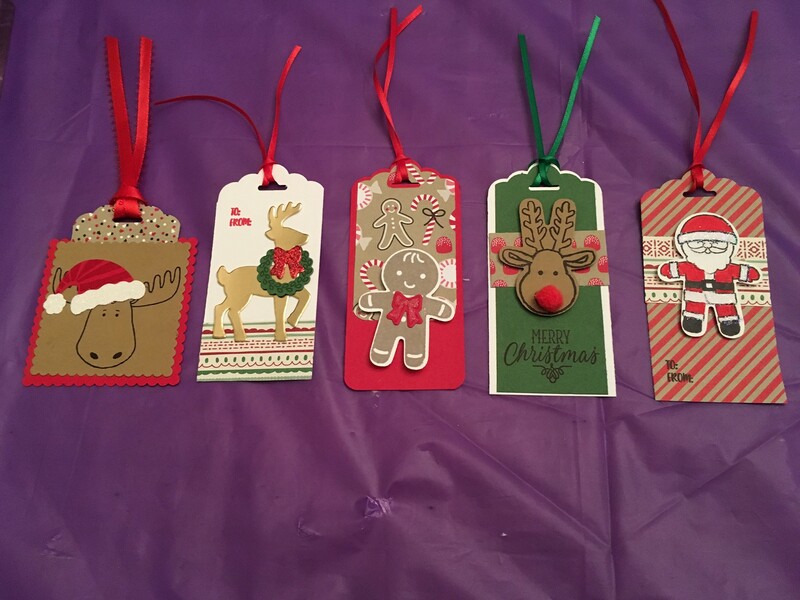 She had 3 cards for everyone to create; she had also created and prepped for everyone to make 5 gift tags, but time got a bit late, so everyone got to take those home to put together!). Too cute, right?! 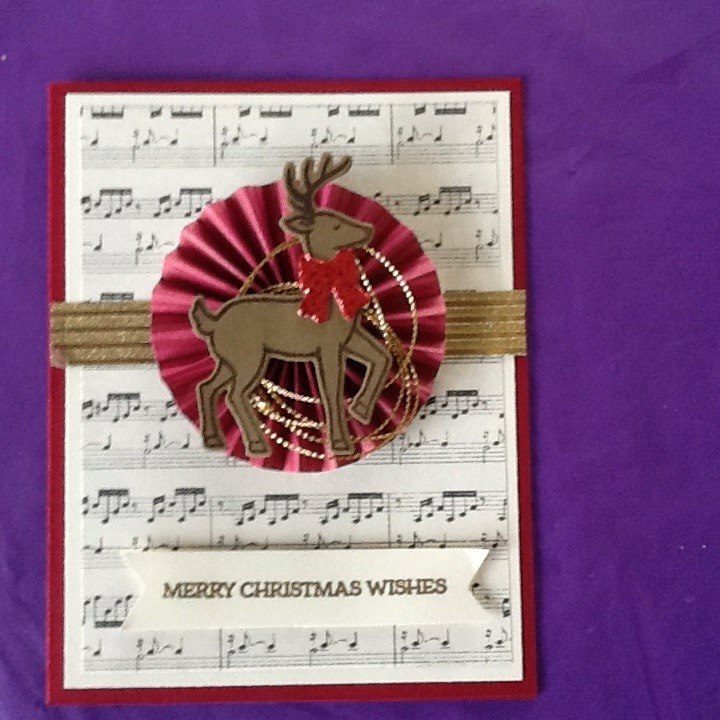 I love the great use of the Cookie Cutter Christmas stamp set and coordinating Cookie Cutter Punch, and the Candy Cane Lane Designer Series Paper adds a fun background. 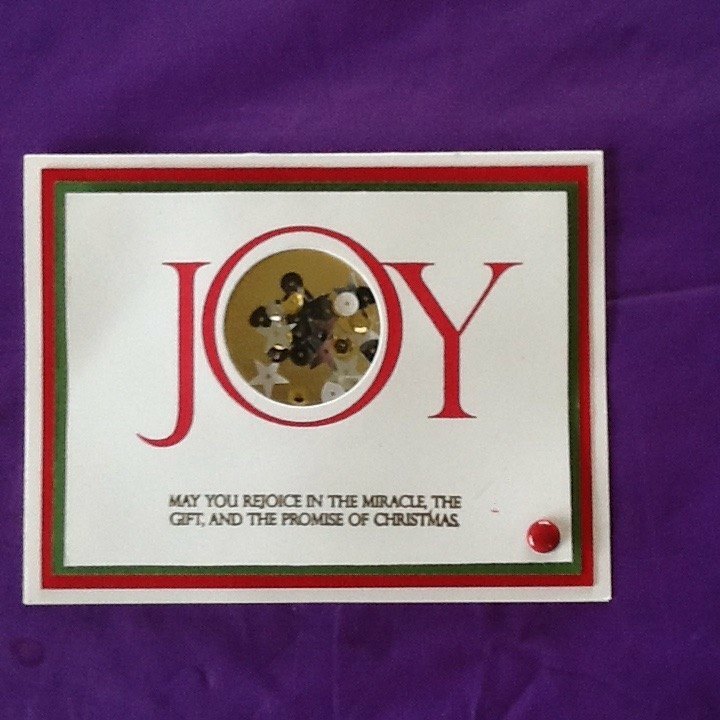 The reindeer is from the Santa’s Sleigh Thinlits Die, and the moose is from the Jolly Friends stamp set. His Santa hat stamp is in the same stamp set; you can also buy the coordinating Jolly Hat Builder Punch, to make it easy to put them together! I was busy and having fun being a helper for the night, as you can see Lynn had a lot of happy stampers in attendance! Judging by the amount of laughter during the stamping, and the smiles when the projects were done, I’d say everyone had a great time, and really loved their final projects. Thanks for letting me share in your first ‘official’ Stampin’ Up! party, Lynn – you were a fabulous hostess, and a terrific example of how to share what we love – stamping! Congratulations again on a successful party, and very good sales! If you’d like to become a member of the INKcredibly Creative Crew, and share your love of stamping while making some extra money, just CLICK HERE to sign up with me. I’ll help you get your business started, and have fun at the same time!